Callery, Sean I Wonder Why There’s a Hole in the Sky and other questions about the environment. Kingfisher, 2012. 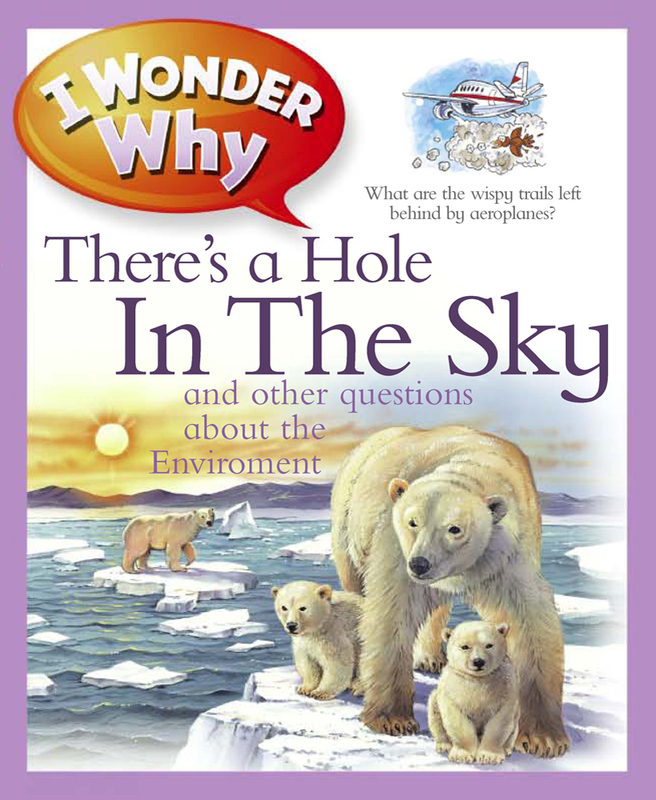 $6.99 PICTURE BOOK Content: G.
This book covers the different environmental concerns we have on earth. The beginning of the book explains the earth’s atmosphere and placement in relation to the sun, the importance of trees and what weather means. The middle of the book explains that lately we have been experiencing many natural disasters, including global warming and our environment is struggling compared to times past. And the end of the book answers questions about recycling and renewable energy. This book is the same format as all “I Wonder Why” books in the series, there is a question with a short 3-4 sentence paragraph as an answer. There are great colorful illustrations for each question and extra information about the topic in side bars throughout the book. This particular book is a simple and efficient explanation of our environment and the concerns we face on our planet. It would be a good beginning book to get students interested in the environment. EL (4-6)-ADVISABLE. Reviewer, C. Peterson.